Join us to discuss safety improvements on Atlantic Avenue! 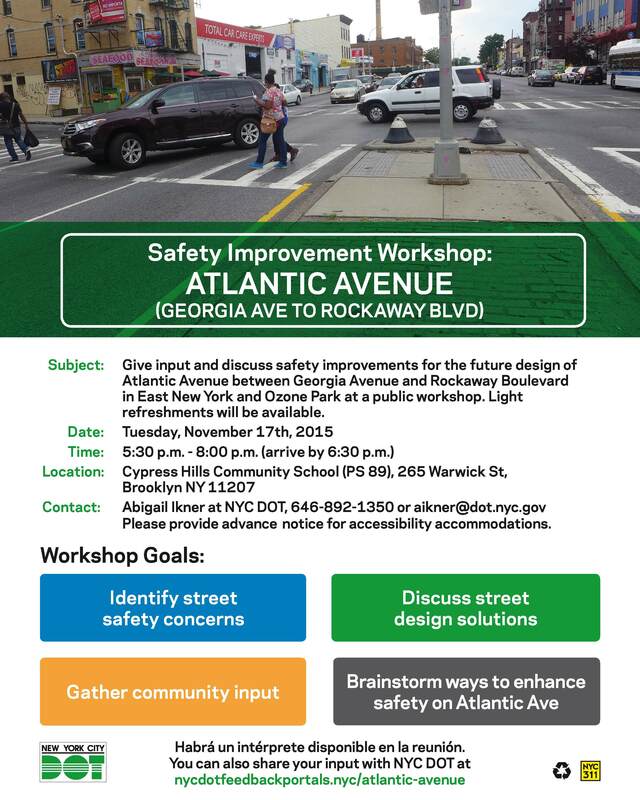 Give input and discuss safety improvements for the future design of Atlantic Avenue between Georgia Avenue and Rockaway Boulevard in East New York and Ozone Park at a public workshop. Light refreshments will be available. Habrá un intérprete disponible en la reunión. Contact: Abigail Ikner at NYC DOT, 646-892-1350 or aikner@dot.nyc.gov. Please provide advance notice for accessibility accommodations.